Since that opening game between Brazil and Croatia last Thursday, football fans from all around the globe didn’t have much time to catch some breath with the World Cup delivering us several games on each single day. 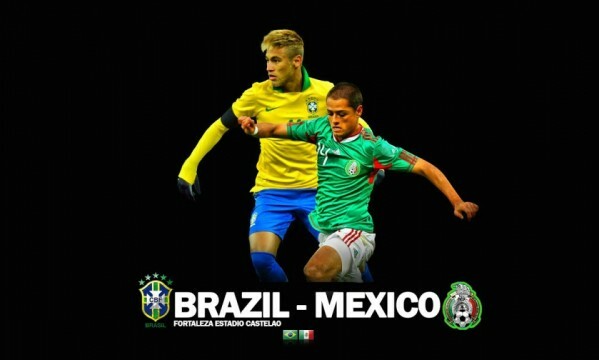 Neymar and the Brazilian National Team will make their return to action this Tuesday and this time their opponent goes by the name of Mexico. The North-American team have also managed to collect the 3 points in their debut match against Cameroon on Friday and are therefore coming into this game without much pressure on their shoulders. Nevertheless, they’ll certainly be eager to pull off a surprise to the hosts when the two teams face each other in Fortaleza, at the Estádio Castelão. 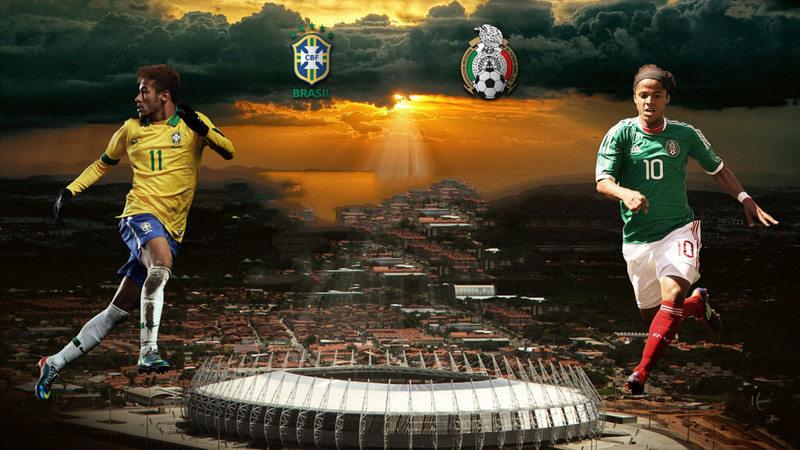 Following their 3-1 win against Croatia and Neymar‘s stunning performance which allowed him to score a brace, if Brazil manages to wrap up the 3 points against Mexico they’ll most likely secure the 1st spot in the group and make sure they’ll be advancing to the next stage set to face the team who finishes 2nd in Group B (Spain, Netherlands, Chile, Australia). However and having in mind how the first round of fixtures rolled out in that group (Spain got crushed by the Netherlands), the second place from that group may very well be one of the top dogs in this World Cup. One of the main Brazilian concerns ahead of this Brazil vs Mexico game lies on the possibility of Neymar being shown another yellow card. If that does happen, then the FC Barcelona star will be immediately suspended for the following game and he’ll remain on that condition at least until the quarter-finals stage. Another player who has been worrying Luiz Felipe Scolari over the last few days is Hulk, who has struggled with a few physical problems a couple days ago. Latest reports seem to indicate he’ll be fit to take on Mexico though, which is a good indication on the possibility for Brazil to repeat their opening match line-up this Tuesday evening. Julio Cesar; Daniel Alves, Thiago Silva, David Luiz, Marcelo; Paulinho, Luiz Gustavo; Hulk, Oscar, Neymar; Fred. Ochoa; Rodriguez, Marquez, Herrera, Layun, Giovani Dos Santos, Moreno, Guardado, Peralta, Aguilar, Vazquez.